Long-life Ion Core packs extra power in every battery. High power and long life 900mAh capacity gives excellent performance and power to all equipment types. AAA size batteries are also known as HR03, LR03 and MN2400 etc. Why you should make the switch to using rechargeable batteries: Save yourself money, reduce environmental pollution of our land, waters and air PLUS reduce and landfill rates - So you can feel good every time you re-charge and re-use these batteries!! Excellent batteries as described and lovely. Good all around... - Very good seller, quality items,compatible prices and quick delivery. Bought these before and are a great product so didn't hesitate placing another order. Will never buy normal batteries again. Always one of the first places we look when buying online. Goods as advertised at a great price and fast service. Excellent. Serves the purpose - nothing more need be said. 7day shop I my first port of call for many things. Each time I've ordered my item(s) arrive on time, well packaged and exactly what I ordered. Excellent. Bought some previously, thoroughly recommended. Excellent, as usual. Downside from shop's point of view is that they lost a sale because they wouldn't price match a £70 article [for the sake of £5]. Great product and good value. Great prices, great service, prompt delivery. Used in cordless phone they hold charge longer and have a better life than other batteries I've tried. Ordering was straightforward and delivery was prompt. I buy all my batteries from 7dayshop,and always will. Great price, and always long "use by" date. Great service, as usual. great product, i love that there is 5 yrs guarantee. I like 7 day shop since it is always quick with delivery and good price with product that is its own brand. Always buy from here. Good prices and rapid service. Never had a problem. I have bought all my batteries from 7 day shop for years. Never had a problem with them. Quick delivery and attractive prices. Regular buyer of these and AA's good products Well as I always buy my batteries and flash drives from 7Dayshop and have done for may years. This tells you how good they are. Our customer rated the product 5 stars Perfect ..
As advertised but haven't used them yet so don't know the recharging performance. As advertised. Arrived quickly. Great price and brand. Excellent reusable power Great products at low prices & fast postage! Our customer rated the product 5 stars Excellent dependence that goods will arrive within a short time. I mainly order printer inks and find 7 day shop to be best value. Repeat purchase. Happy as always with their products. Quality and price can't be beaten. Super service, as always. 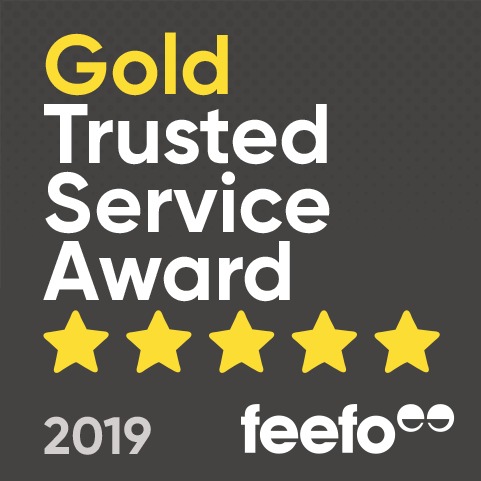 Our customer rated the product 5 stars The product was as described and worked as exactly as I had hoped would recommend their service and use again. Used these batteries in my cordless phones. Pre-charged ready to go. Great battery specification by Duracell says it all!. Great value and speedy service. Batteries are batteries. Arrived as expected next day. I brought for use in cordless phone handsets. Excellent battery at a good price. I use them as replacement for the batteries in my DECT phone who knew they needed changing every 10 years or more. Batteries installed in a digital cordless telephone at home. The phones were not holding charge and sound quality was deteriorating. New batteries have transformed these phones. Product arrived charged as stated. I have not recharged as yet. Cannot say any more. Can't tell yet how good they are. Point is I have to charge them then use them sometime later. At that point if there is charge left I will know they are OK. Product used in telephone system, only the best used for this purpose. Used in my house phone. Charged quickly. Works well. Always sell well and good prices. Great price & free delivery. Have not yet put these to use but the offer was too good a bargain to miss. I'm sure they will fulfill the purpose for which they were bought. I wish I'd bought more. I probably will. Hadn't realised how poor my other rechargeable batteries are..
Great batteries that fit my walkie-talkies. See my comment for AA batteries. Best price I've found. And a name that can be trusted. As advertised at a good price. So far, these batteries are doing well. I am using them in a small mp3 player and recorder. So far they are doing well. A good quality product which I use for my small personal radio. Nice to have a spare set of batteries always ready charged. uuseful to any one not wanting to be tied to mains supply.